Coahulla Creek pulled out a pair of one-run victories to knock the No. 3 Redan Raiders out of the Class 3A state playoffs with a 2-0 best-of-three series victory in a quarterfinals matchup at Redan. Redan bounced back from a 2-1 loss in the opening game of the series to pick up a run in each of the first two innings on a RBI double by Taj Bradley in the first innings, but managed just one run in the second as Hunter Todd reached on an error and scored on a wild pitch. The Raiders would leave the bases loaded in the top of the second. Coahulla answered with a huge second inning by plating nine runs behind a bases-loaded, three-run double by Ethan Whaley and a two-run double by Trent Collins to take a 9-2 advantage. The Raiders would chip away at the 9-2 Coahulla lead to pull within 9-8. 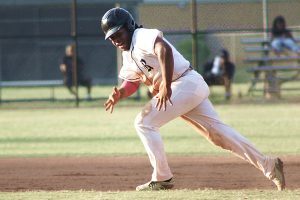 An infield single by James Parris plated Darius Pope and Malcolm Brown scored on a ground out by Latrell Wyatt in the fourth inning to cut the lead to 9-4. Bradley’s two-run single capped a four-run fifth to trim the lead to 9-8, but the Raiders left Bradley stranded at third as the game-tying run. A two-out walk to Wyatt in the top of the seventh was the only base-runner the Raiders could manage over the final two at bats as Coahulla as Collins came on to get the final out. Bradley finished the game 2-3 at the plate with three RBI to lead the Raiders while Brown was 3-4 with three bunt singles. The two teams combined for just five hits in the series opener with Coahulla getting a two-run bloop double down the left field line by Tanner Cronan that dropped in between three Raider fielders to score Donovan Sims and Ethan Whaley. The two-run third inning would hold up for the opening game win. The Raiders got a leadoff single in the bottom of the fourth by James Parris who would steal second and score on an error by the Coahulla shortstop to cut the lead to 2-1. Coahulla starter Trent Collins would go the distance and allowed just one Raider to reach base in the final three innings, a single by Latrell Wyatt in the bottom of the sixth. Redan’s Darius Pope would pitch seven innings allowing just three hits while pitching six scoreless innings in the game. Parris and Wyatt accounted for the Raiders only two hits of the game. The Raiders finished the season with a 25-11 record and as the Region 4-3A champions.